If you want to reuse artwork, layer, or camera motions from your project in the same or other projects, you need to create a template out of it. 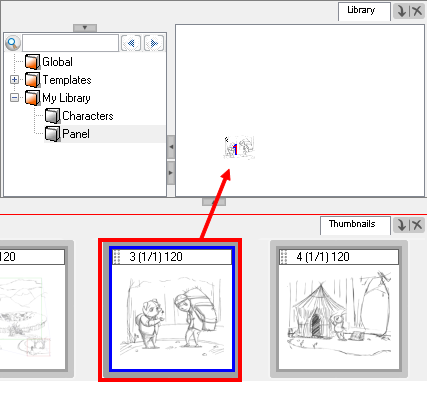 A template can be seen as a portable scene or package that you can drag inside your project. 1. 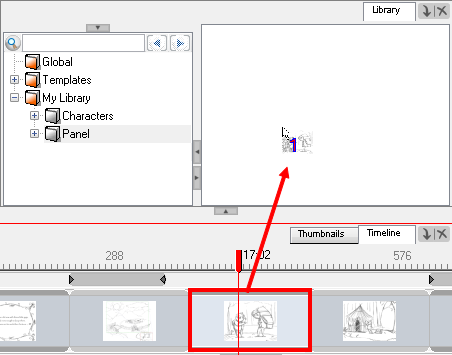 In the Timeline view, select a panel or sound clip and drag it to the right side of the Library view. To delete templates from your library, use the Library view. You can always undo the delete action if necessary. IMPORTANT: DO NOT DELETE TEMPLATES USING THE OPERATING SYSTEM BECAUSE YOU WILL NOT BE ABLE TO UNDO YOUR ACTION. In the Library view, select the templates to delete.